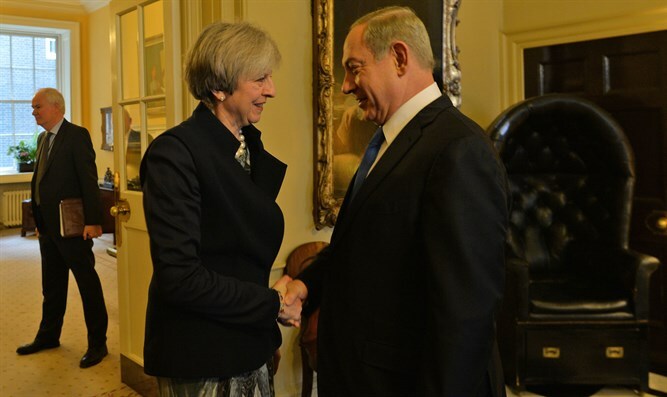 Britain responds to Netanyahu's revelations on Iran, says nuclear deal remains "vitally important". Britain has never been naive about Iran’s nuclear program, and inspections by the International Atomic Energy Agency (IAEA) are vital to ensure it is used for peaceful means, a government spokesman said on Monday, according to Reuters. The statement came after Prime Minister Binyamin Netanyahu’s presentation on Iran in which he revealed documents from Iran’s nuclear program that show it has continued its program despite claiming it had no interest in obtaining a nuclear weapon. “We have never been naive about Iran and its nuclear intentions. That is why the IAEA inspection regime agreed as part of the Iran nuclear deal is one of the most extensive and robust in the history of international nuclear accords,” the spokesman said. “It remains a vitally important way of independently verifying that Iran is adhering to the deal and that Iran’s nuclear program is exclusively peaceful,” he added. Meanwhile, Gérard Araud, the French Ambassador to the United States who in the past served as France’s Ambassador to Israel, also addressed the Iranian issue, saying the information presented is a convincing argument in favor of maintaining the 2015 Iranian nuclear deal. “The informations we have received on the past Iranian nuclear activities are a very convincing argument for the signature and the implementation of the #IranDeal with its strong monitoring mechanism,” he tweeted. Earlier on Monday, Federica Mogherini, the European Union’s High Representative of for Foreign Affairs and Security Policy, responded to Netanyahu’s presentation on Iran, asserting that he did not question Iran’s compliance with the agreement. “I have not seen from Prime Minister Netanyahu arguments for the moment on non-compliance, meaning violation by Iran of its nuclear commitments under the [nuclear] deal. And again, the deal was put in place exactly because there was no trust between the parties, otherwise we would not have required a nuclear deal to be put in place,” she said.